Why ‘Memoirs of a Husk’? Husk: an outer shell or covering which has a protective function and tends to be discarded in favour of the more valued interior. The husk can, however, be useful in its own right, coir from coconuts, for example. The short answer: On a particularly bad day, when I felt boring, useless, worthless, a sad, empty shell of a human whose past was infinitely more interesting than her present or her doom laden future, the title came to me. It sounded both intriguing and accurate. Next day, when the sun shone and the world seemed full of possibilities, it still sounded intriguing, if a tad less accurate – so I went with it. The long version: You’ll have to read my posts and deduce what you will from them over time. Sorry. Oh – and it’s not all memoir. I care about people, landscapes, fairness. Why the blog? I’m shy and retiring by nature but I write and I publish. Blogging is thus more or less expected of me. Life is full of obligations we impose upon ourselves. It’s a cathartic process – I’ve always written about my experiences in my head and this lets them out, gives my brain room to breathe. It interests me that those who know me best seem to find what I reveal the most surprising. I have two publications available for purchase online from Cosi & Veyn and a small number of selected outlets in the UK. 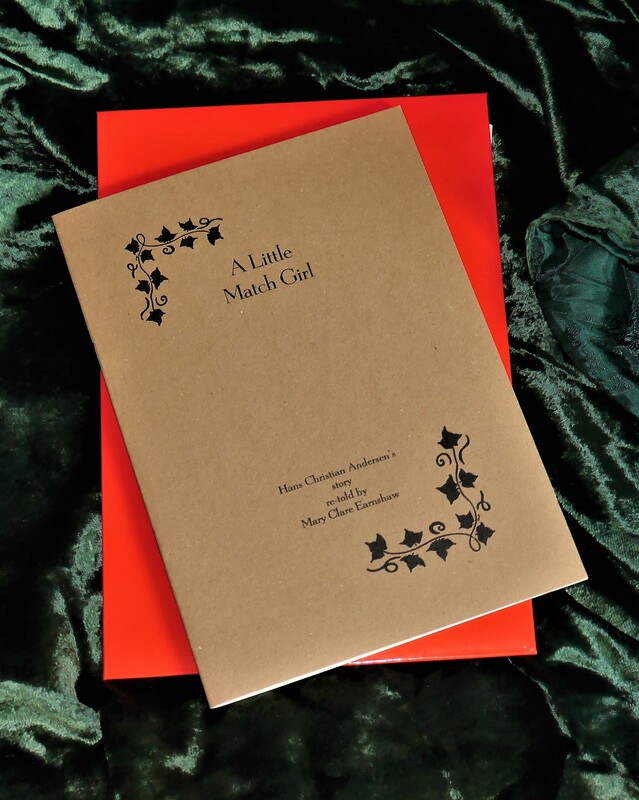 A Little Match Girl is a re-telling of the original tale by Hans Andersen and was originally published on this blogging site. It is now available to buy as part of a special limited edition of 200. It was typeset on a Linotype machine that sets type in hot metal and was in use at the Guardian newspaper until 1987. (A similar machine was used in the making of the 2018 film ‘The Post’ by Stephen Spielberg.) The booklet was also hand-printed on a Vandercook press, in rural Lancashire. 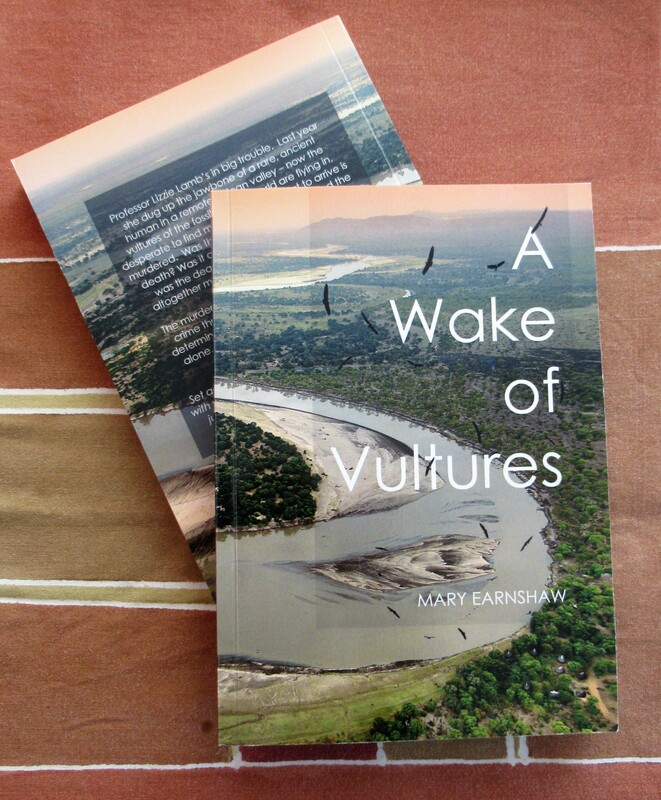 I’m also the author of A Wake of Vultures, a murder mystery set in Zambia. Anywhere the post goes my books can be sent! I take offence easily so if you are a Troll GO AWAY I am not going to play. If you want to pick a fight go to a boxing gym or take up martial arts. I will remove anything that I find offensive (my tolerance limits are low) and you have no come back whatsoever as it is MY SITE. If I ever offend anyone it is almost certainly going to be unintentional and I will apologise. Most – but not all – names will be changed to protect the innocent and guilty alike. I will write when I want and remove anything I decide was a mistake. There we have it. All my writing on here is subject to my copyright. Feel free to quote bits with an acknowledgement but DO NOT pass it off as your own. All pictures are my copyright unless otherwise stated. Please ask permission before re-using. Finally – please – if you enjoy reading something, or have a different point of view, respond using the comments boxes. It’s good to know I’m not talking to an empty room. finally more chance to enjoy your way with words..when i get into the city i have to catch up fast!! Ah – Lucille and the 400 children – yes, watch out for that in Black Chameleons, tempting to write it up for the blog but… Great to hear from you wonderwoman! I greatly enjoy your writing, and as a woman whose lips are fraying, I identify. I have just finished reading your unputdownable account (of which more anon) of Professor Lamb’s dreadful experiences on a dig/excavation in the Luangwa valley. Although I am aware of the H. rudolfensis sites from Kenya and other Rift Valley sites as far south as northern Malawi, I seem somehow to have overlooked Prof. Lamb’s discovery. I realise that in the circumstances you would not wish to divulge here the precise location of the H. rudolfensis find in the Luangwa rift valley, but I would be grateful if you were able to direct me to Professor Lamb’s original publication on the subject. Perhaps the one you refer to on p 164? I am so glad you enjoyed the account of the turbulent excavation season in which Professor Lamb was made an honorary detective in Mfuwe, Zambia. I regret that I am unable to find the reference to the publication in question but you might consider asking Professor Barham, also at Liverpool Unviersity, if he can help. I believe he is something of an expert in the field . . . Thank you kindly for your help. As one who cares about landscape, you will find Tim Ingold’s article “The Temporality of the Landscape”, in World Archaeology, Vol. 25, No. 2, 1993, interesting – if you haven’t already seen it. Over and out. ‘Sno good, I can’t resist and I apologise for my abrupt departure yesterday. Hello again John and welcome back. I did wonder if you had maybe gone off in a huff… I will look up Tim Ingold’s article as I have not read it. Tales of Texas coming up soon, the hill country reminds me so much of Swaziland I could almost imagine myself there – almost as strange, too, in many ways. Glad to be home, though still recovering. No,it wasn’t a huff, it was more a feeling of not being up to your level. Remember Carly Simopn singing “Yoooou’re no good”? So I’m very pleased you got back. One imagines Texas flat, no hills and acres (perhaps we should say hectares) of maize fields chemically protected by Monsanto. It’s good to hear Texaés has hills, even better if we could hear Monsanto’s global grip could be prised off crops. Hello, MOAH–Greetings here from your seatmate of sorts on that flight from New York to Manchester in May. It was lovely to meet you and your husband and to share books. I do believe we three were the only ones on the plane reading books printed on actual paper. The walking in Wales was excellent, and I’ll be going back again next year. Just rescued from a pile of old books my wife was preparing to throw out “The Trick of it” by Michael Frayn (1989). Telling about the woman he’s just married, an older, celebrated novelist he’s admired for years, the protagonist, a younger, university Eng Lit teacher, writes to an old friend “There’s something about her writing that makes people want to invite her to meet them, or invite themselves to meet her.” I was reminded of yours. Ah, thank you, what a nice (sorry tired and words not coming) thing to say. I will get it, the Frayne book. I read the latest John Le Carre on the plane out and re-read an old Graham Greene (The Comedians) on the trip but abandoned it as just too depressing in my state of mind after the breakdown and just watched trees and birds. Read nothing on the way back, just shut my eyes and ate (not both at the same time). I’d only reached page 98 when I wrote my earlier comment. The next 82 pages are not so laugh-making. Though still in the same sort of breathless style, words tumbling over each other, it’s more serious and in the end sad, almost tragic. Not for a black dog day. But I’d still strongly recommend it. Comments on your reading and its context another day, I could go on, but this isn’t really the place. “So I went with it.” Good choice. Enjoyed touring the place. It’s actually quite surprising I ever went public at all! Good to hear from you – and thank you for commenting. Since you read several of my posts today, I thought it only fair to check out your blog. I like what I see here and will be following you! Thanks Jill! I’ve been trying to extricate myself from active engagement in politics here – it has not been a good experience the past 2 years. But since my husband has just voted in the US elections (who for? give you one guess) we have an avid interest in what is going on ‘over there’ and you hooked me. I have been so shocked by some of the things you have laid before me… Let’s all hope the outcome is a victory for common sense and your new administration can begin to create some new version of sanity. We’re seeking some here if you have any left over. And thank you, for following.